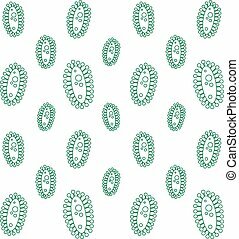 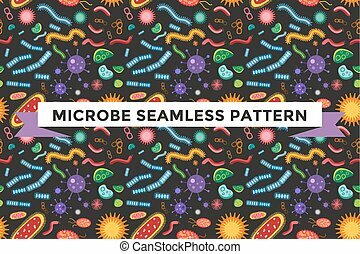 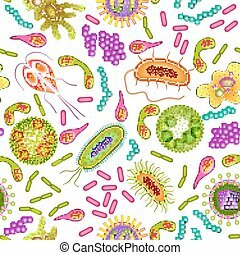 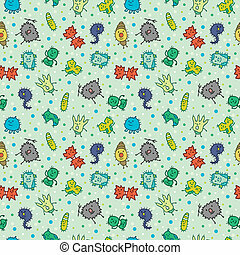 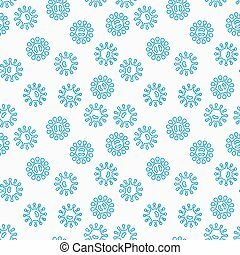 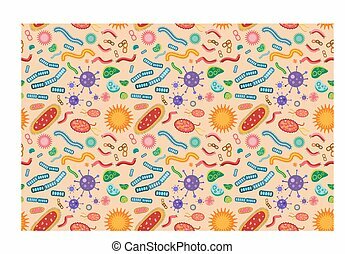 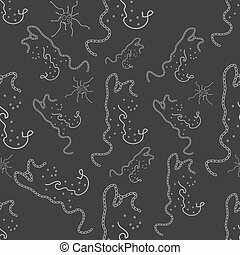 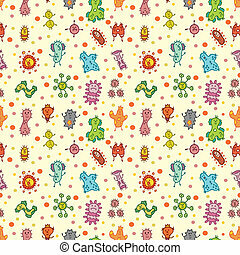 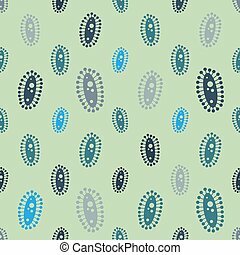 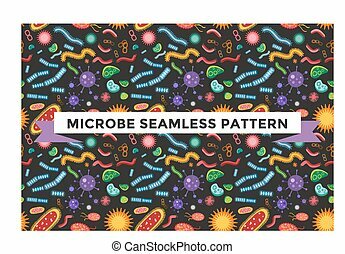 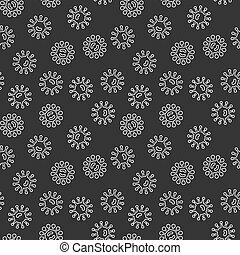 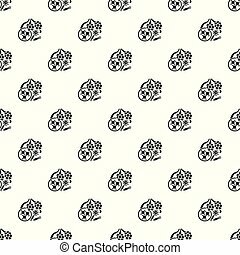 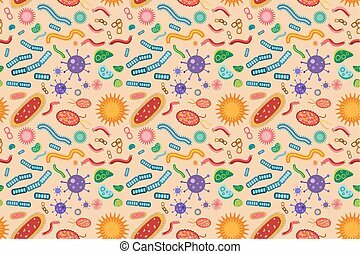 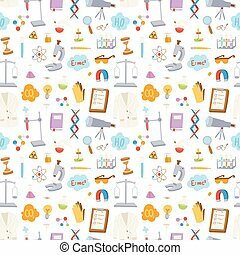 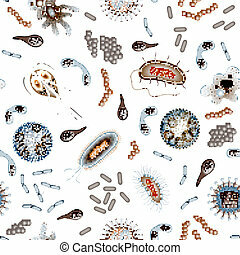 Bacteria virus seamless pattern. 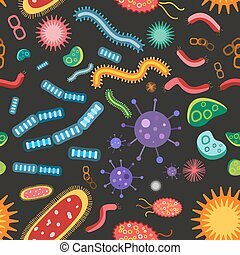 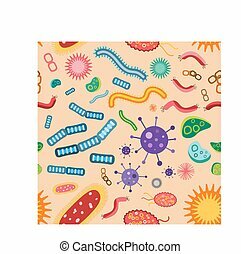 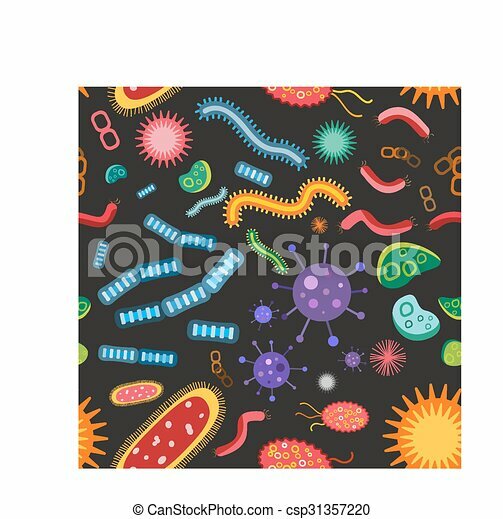 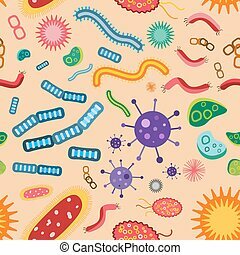 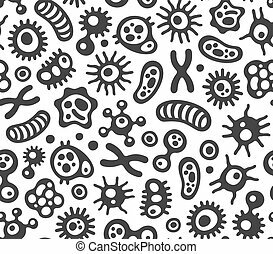 biology microorganisms, microbes germs and bacilli. 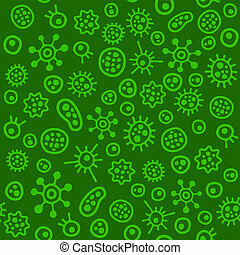 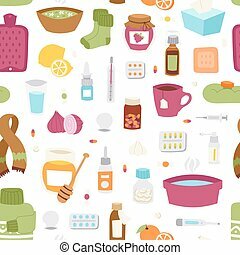 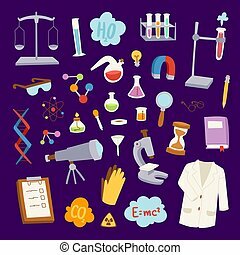 pathogens icons, prokaryotes virus pattern, bugs isolated. 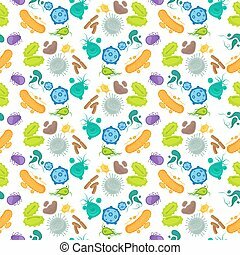 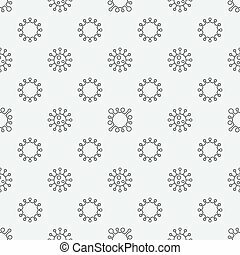 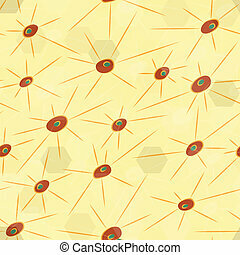 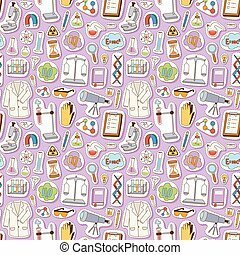 virus science microbe seamless background pattern.